…mother, father, brother, cousin, sister… after all. 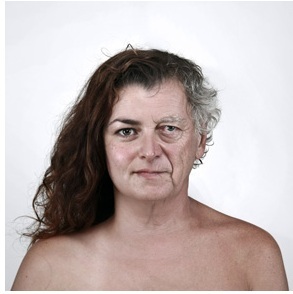 In his brain-stimulating series “Genetic Portraits” Canadian photographer and designer Ulric Collette explores the facial similarities (and differences) between genetically-related people. 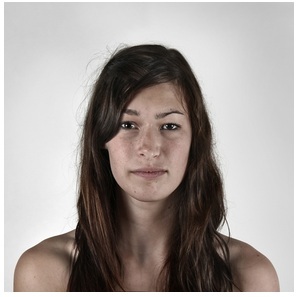 In some portraits it’s hard to find any connections between the two halves of the face and in others the fit is so seamless it’s hard to tell they are even two different people. It’s a fascinating look at genetics and family ties from a perspective I’ve never seen before. Below are two of my favorites portraits. But there are so many more not-to-be-missed portraits over on Collette’s site. And you can see these in full size too.